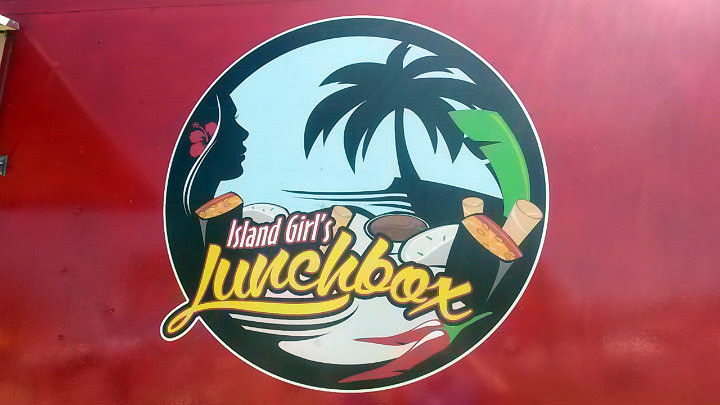 Island Girl's Lunchbox is a Guamanian food truck located in Salem, Oregon. I first found out about this food truck last year via The Statesman Journal. 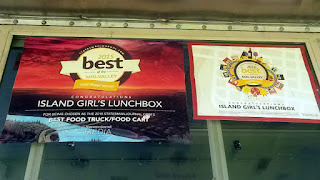 The fine people at PDX 671 have shown their support for Island Girl's, and after a few unsuccessful attempts to try the food here, I finally got the chance at the 2016 Bite and Brew Festival (July 21-24). Stephanie Sosa is the founder and owner. 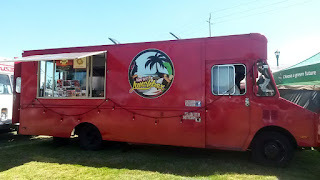 She opened for business in November 2014. Island Girl's has already won the 2015 Gold Medal Best of the Mid-Valley in the Best Food Truck/Food Cart category! 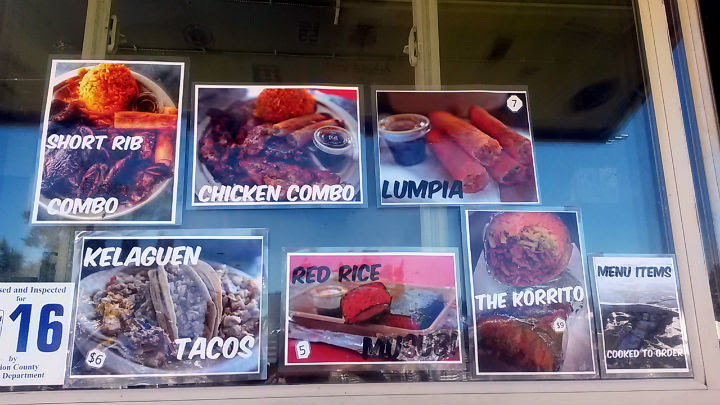 The Chamorro menu here features kelaguen (a cold chicken salad-type dish); lumpia, and short ribs. There are also some Korean menu options, including their signature "Korrito," a burrito with Korean flavors and ingredients. 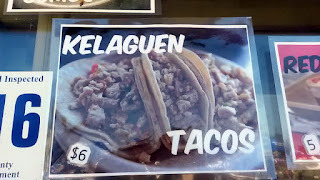 Remaining on the kelaguen bender, I got their Kelaguen Tacos ($6), three tacos with kelaguen inside double-corn tortillas. In appearance, it's a simple item with little fanfare, but the flavor is well worth it to me. 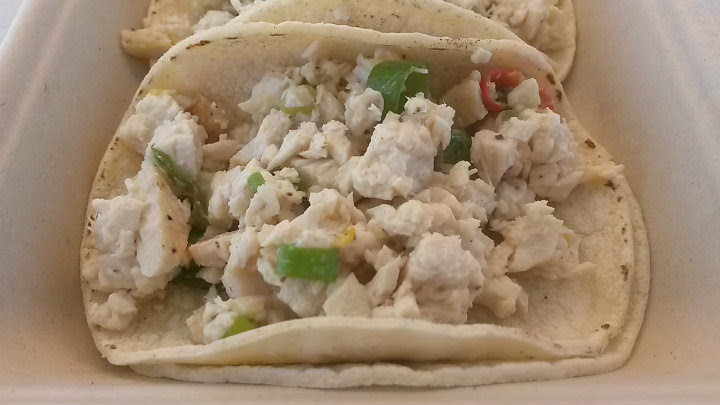 The lime and a few red chiles liven up the eating experience. 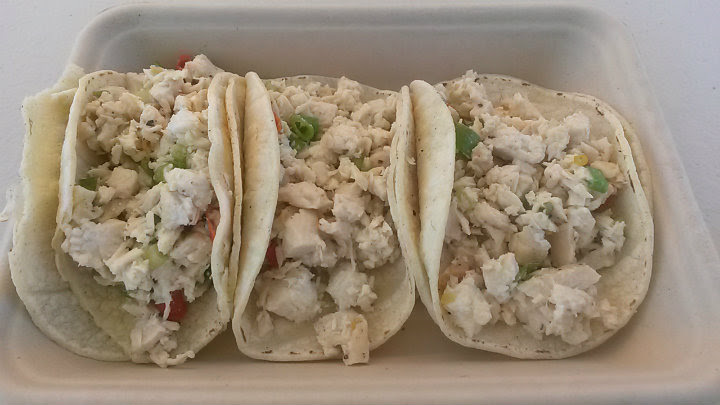 I could eat these tacos for days. 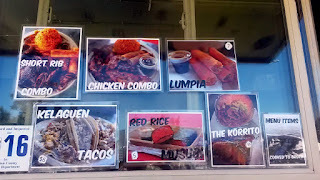 I admit to nearly getting the Korrito on this visit, but simply didn't pull the trigger. 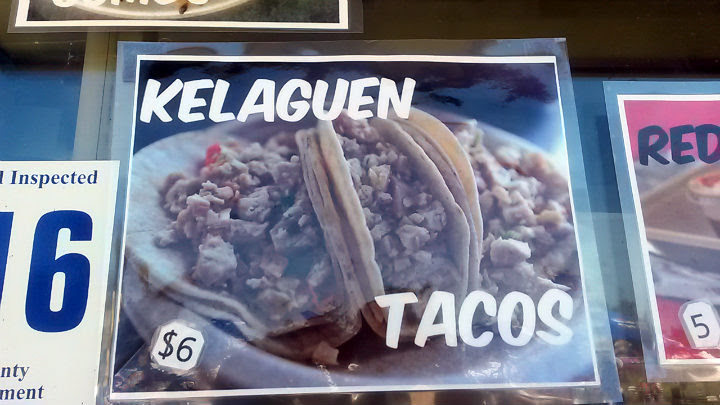 On appearance alone, I would encourage people to get that, along with the lumpia. Island Girl's Lunchbox is open on Mondays, Thursdays, and Fridays. They may also be spotted at events such as the Bite and Brew.